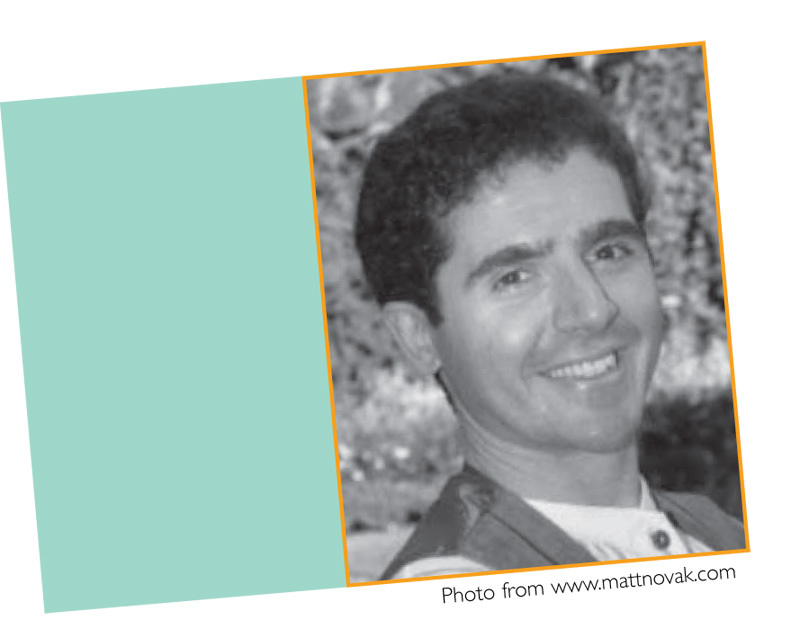 Matt Novak has been writing and illustrating picture books for over 20 years. Among his many titles are The Everything Machine, A Wish for You, Flip Flop Bop, The Last Christmas Present, and Elmer Blunt’s Open House. His Mouse TV was a School Library Journal Best Book of the Year, and Newt received an IRA Children’s Choice Award. Matt has been a puppeteer, a teacher, and a Disney artist. While at Disney, he worked on such films as Rescuers Down Under and Beauty and the Beast. Along with writing and illustrating, he is also Executive Producer at Zam Studios, an animation production company. He and his family live in Pennsylvania.